Well as you can imagine everyone is home for the holidays and I am showing them the layouts that I have designed for the lakehouse. 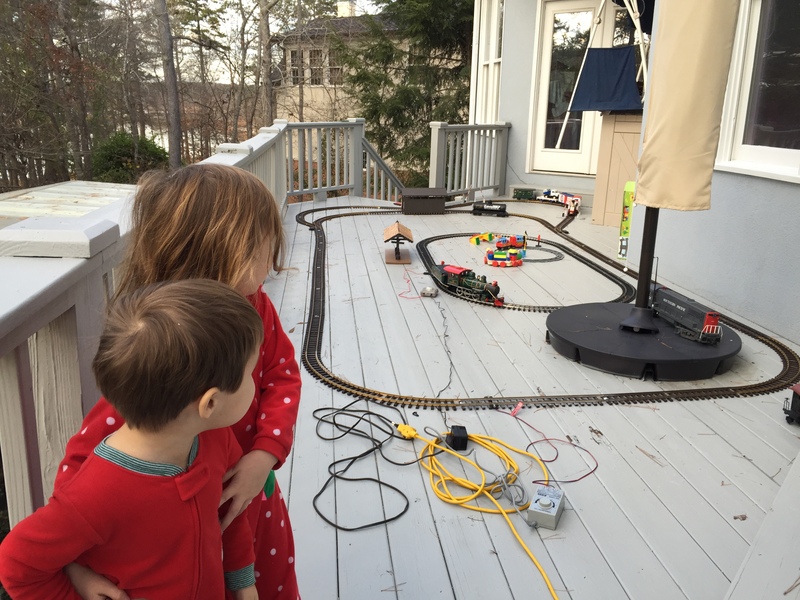 I also set up a track layout on the back porch of the deck in Peachtree City and this was a hit for Simon and Joanna. 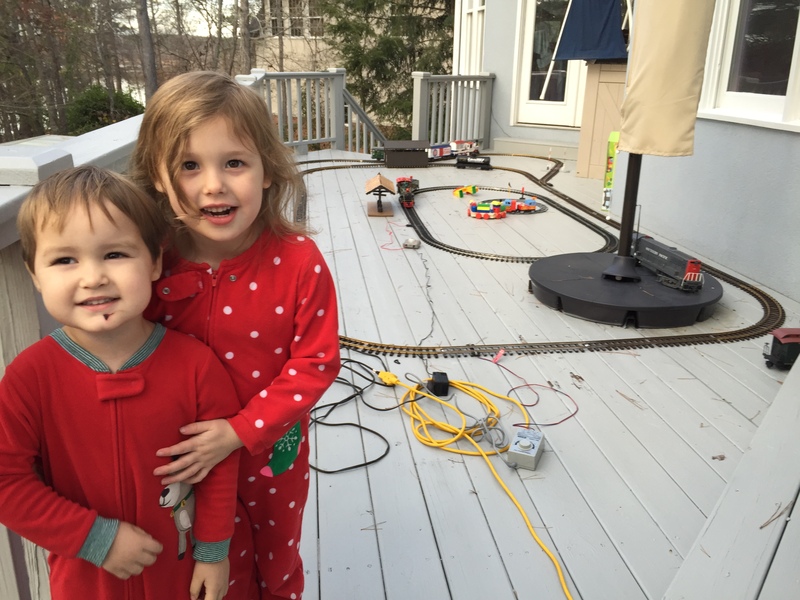 They could not get enough of running the trains and working with the layout. Several of my kids suggested that I build a Peachtree City layout. I scoffed at the idea as the back yard had a very steep slope and would be a challenge to design. I said okay and investigated it further where I found out that it was better to have the layout raised for accessibility and viewing. 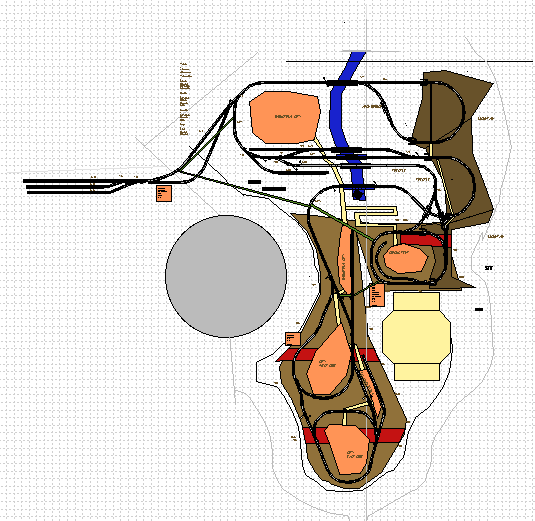 So I started to desing the Peachtree City layout and found out that I could have a great layout in the back yard. My plan was to have 3 -4 trains running simultaneously. Two would be smaller trains running in a circle around a city. One would be a main line which would have a passing lane so that two train can run together on the main line but they would have to stop half way. It was starting to look like it was doable. As I showed the plan to different people I got different ideas. A mountain here. A circus city here. A waterfall there. I even figured out how to get the trains into the pool area to be stored. Wow this was looking great.